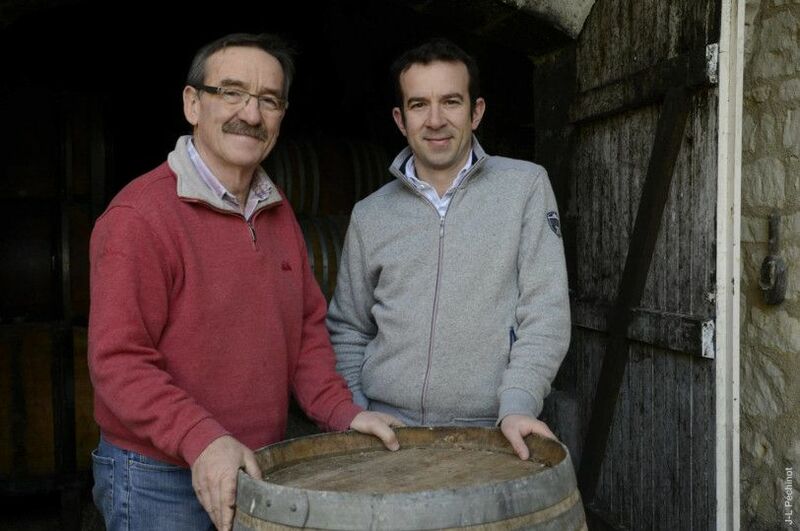 Bernard Baudry, son of a winemakers’ family, started his professional life as a vine-tending consultant at the Tours laboratory, where he worked with Jacques Puisais. He had previously studied oenology in Beaune. His 5 years on the job served as an excellent apprenticeship when in 1975 he decided to start his own estate with 2 hectares of vines. His son Matthieu studied in the Mâcon area, then in Bordeaux, and, after a year working in Tasmania and California, joined his father in 2000. Our domain now has 32 hectares of vineyards spread across the AOC Chinon, in Cravant les Coteaux and Chinon. The grape is grown primarily Cabernet Franc (90%) plus a small production of Chenin Blanc (about 10%). 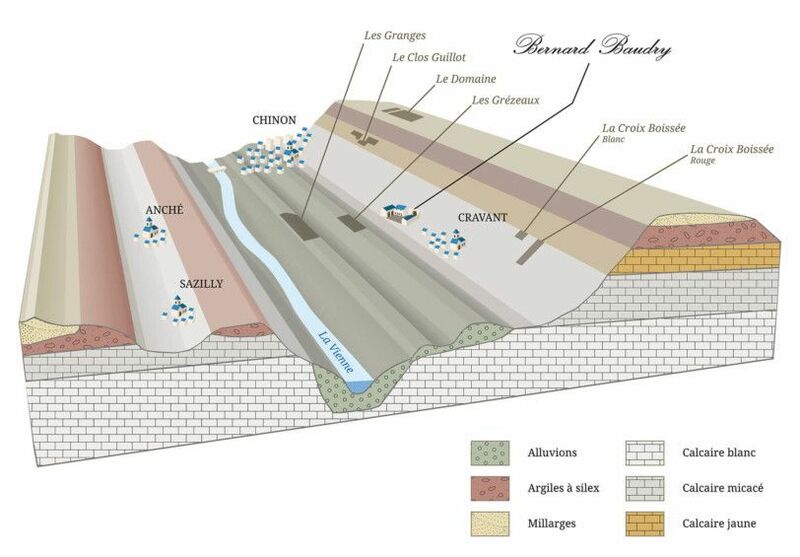 The vineyards are located on very varied terroirs of gravel in the plain, limestone clay on coteau and sandy limestones plateaus. This diversity offers us the possibility of applying piecemeal winemaking. The vineyard has always been maintained according to environmentally friendly methods (no chemical weed killers) guided by observation and common sense depending on the climatic conditions of the year. The entire vineyard is now conducted in organic farming since 2006. A compost that we maintain ourselves based on cow manure and straw helps rebalance the organic matter in our soils. Phytosanitary interventions are mainly limited to the use of copper, sulfur and natural plants such as horsetail and nettles. We control the growth of the vine by partial disbudding but we are looking at what is the vine find itself its own production of balance according to the richness of the soil and climate of the year. The red and rosé wines are made from Cabernet Franc and white wines from Chenin. Cabernet Franc is the only red variety used in the appellations of Bourgueil, St-Nicolas-de-Bourgueil, Saumur-Champigny and Chinon. 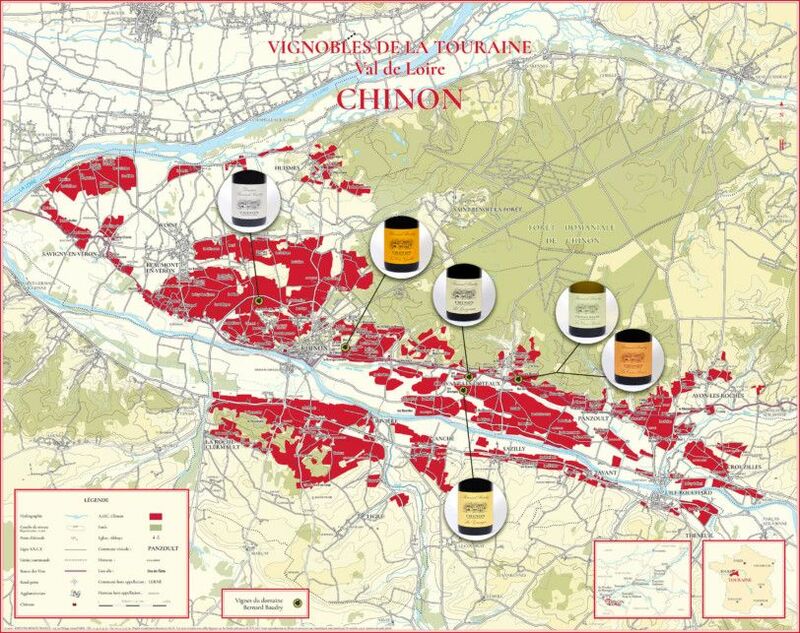 In Chinon, Chenin amounts to only 5% of all vines. It is gaining momentum nowadays, particularly on limestone slopes that impart the wines remarquable freshness and balance. In the Chinon appellation, Chenin is only made as a still, dry wine.